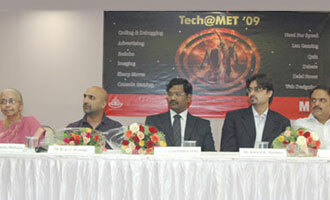 MET Institute of Computer Science held Tech@MET – a unique Intercollegiate IT Fest on February 17 – 18, 2009. This is a popular annual IT Fest which all the IT students look forward to. Over 300 students from across 25 colleges attended this mega 2 days event. Amongst the colleges that participated were Hiray, BVIMIT, SIES, Sterling, Khalsa, KJ Somaiya, VJTI, NMITD, Ruia etc.